The event will be introduced by Marco Taisch, Full Professor and it will be moderated by Nancy Cooklin, Trainer, Coach and Counselor. Please note that the event will be held in English and is reserved to the Alumni and School Community. 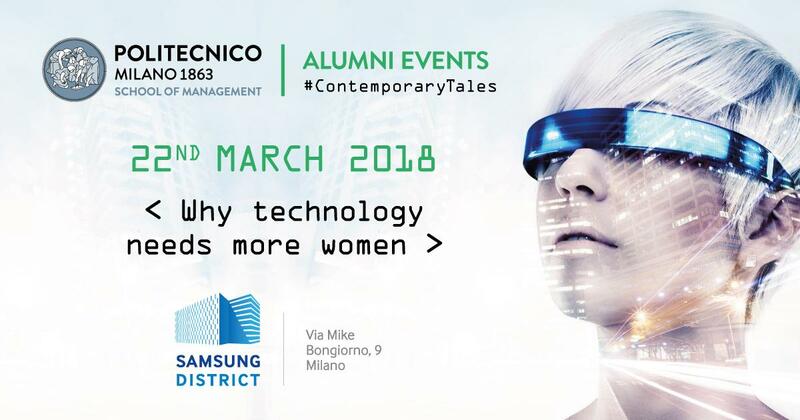 Olga Iarussi, CEO Southern Europe di Triumph e membro di Women&Tech - Associazione Donne e Tecnologie interviene all'evento "Why technology needs more women" organizzato da MIP Politecnico di Milano.